Michigan State representative Rashida Tlaib thinks she is a member of the legislative branch of a banana republic. Tlaib raised 15- year- old sexual harassment allegations against Imad Hamad, the former regional director of the ADC (American Arab anti-Discrimination Committee) and, along with a motley crew of who’s who of characters with an ax to grind and personal and other agendas and vendettas against ADC and Imad, succeeded in getting ADC to launch an investigation. 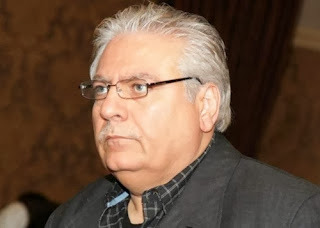 The Rashida Tlaib crusade against ADC and its regional director Imad Hamad is ongoing. Tlaib claimed that 15 years ago she was the victim of sexual harassment by Mr. Hamad. Tlaib is a board member of ACRL- an organization set up by former ADC board member Nabih Ayad. 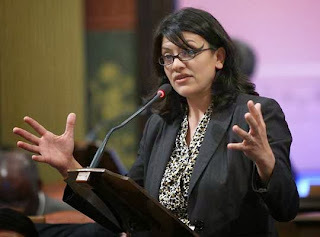 Michigan State legislator Rashida Tlaib is unethically and shamelessly using her elected position to spearhead a no- holds- barred against Imad. These sensational accusations were made to manufacture a crisis and push for the discharge of a tireless defender of civil rights. Mr. Mohamed Abaza is a former colleague of mine. Given the turmoil in Egypt and seeking the viewpoint of an ordinary Egyptian citizen who had experienced life in the United States, the Forum and Link sought Mr. Abaza for an online interview with questions about the situation in Egypt. When reading this interview, keep two things in mind. One, that the interview was done in July-August of 2013 but there was no opportunity to publish it earlier. A lot has happened since not least of which the bloody crackdown on the protesters. But at the core of the crisis the issues are still the same with the heart of the matter being the democracy question. Second, Mr. Abaza identifies himself as a Morsi supporter. 1.What is going on in Egypt today- is it a civil war?